Thousands of people have been gathered in Kakheti, Georgia’s popular touristic destination, to join the Wings for Life World Run today. The World Run race is the largest charity event in world sport history and Georgia became a part of it for the second time. About 5 000 people were registered to run in Kakheti today. Among them 600 were international runners from 35 countries. A participation fee was GEL 20 (about $10 USD) and 100 percent of the gained money will go towards Wings For Life, a foundation that funds research into finding a cure for spinal cord injury. 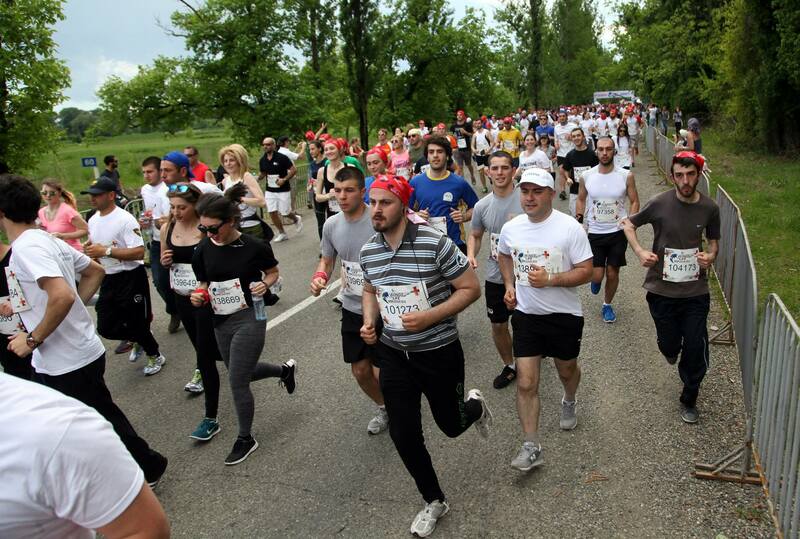 Wings for Life World Run started at 3pm on the turning point to Lopota Lake on the Telavi-Kvareli highway. Instead of a traditional static finish line, competitors of this event are running from an advancing cordon of Catcher Cars. Thirty minutes after the start signal the Catcher Cars set off in pursuit of the runners, at a constant speed of 15 km/h, accelerating to 16 km/h after one hour. After two hours they accelerate to 17 km/h, and then up to 20km/h after one hour and to 35 km/h after a further two hours. As the Catcher Cars overtake runners, their race is over. The event organisers in Georgia are Wings for Life and Red Bull. Last year Georgia gained 100 000 GEL (about $43 000 USD) through the race while the total amount gained throughout the globe reached €3 million.